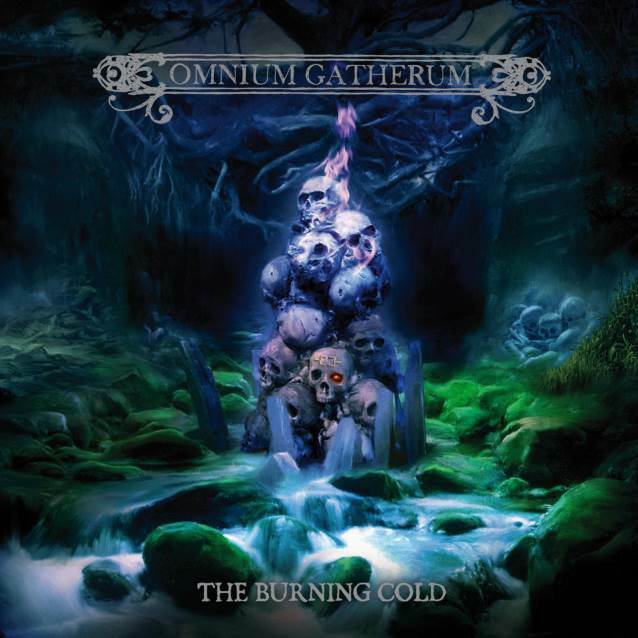 The official video for “Refining Fire”, a brand new song from Finnish metallers OMNIUM GATHERUM, can be seen below. The track is taken from the band’s upcoming album, “The Burning Cold”, which will be released on August 31 via Cenury Media. The cover artwork was once again created by Olli-Pekka Lappalainen, who has been responsible for every single artwork for the band since the very first demo. Main songwriter and guitarist Markus Vanhala comments: “Sometimes you can be extra proud of something you’ve achieved, and I could claim that ‘The Burning Cold’ has a sense of special chapter for me. I haven’t been this excited for a new album of mine for ages! Singer and frontman Jukka Pelkonen comments on the lyrical themes and concepts: “There are two major lyrical concepts on the new album. Firstly, it touches the great human tragedies and fortunes which are around us — tragedies such as war and the engulfing darkness that follows, and fortunes which are tangled in experiences we all share despite of the seemingly burning world. Secondly, the lyrics speak loudly of the human emotional condition. How do we love? Why do we hate? Why some things are easier to leave behind than others. Why does death terrify us, and if it does why do people act like it does not exist?